Colours are a familiar and important feature of our experience of the world. Colours help us to distinguish and identify things in our environment: for instance, the red of a berry not only helps us to see the berry against the green foliage, but it also allows us to identify it as a berry. Colours perform a wide variety of symbolic functions: red means stop, green means go, white means surrender. They have distinctive personal and cultural associations, and provoke a range of emotional and aesthetic responses that are reflected in the clothes we wear, the way we decorate our houses, and the choices made by designers and artists. But although colours are a familiar feature of the world that we perceive, they are also deeply puzzling. What exactly are colours? Do colours even exist? Colours appear to be properties of things in our environment: apples, clothes, cats, coffee, traffic lights, and so on. Moreover, it is natural to think of them as “objective” properties of things, that exist independently of our experience of them—properties, like shape, that do not exist just because we see them, and so which would exist even if there were no-one around to see them. In part, this is because colours, like shapes, exhibit “perceptual constancy”: they appear to remain constant throughout changes in the conditions in which they are perceived. If you turn on a desk lamp in an already illuminated room, the colours of the things that the lamp illuminates don’t normally appear to change, just as the shape of a table doesn’t normally appear to vary as you view it from different angles. However, philosophers and scientists have long thought that colours are not what they seem. There are two main reasons for this. First, there are widespread, and often dramatic, variations in colour perception. Amongst humans there are various forms of colour-blindness; and even otherwise “normal” perceivers often disagree in the identification of so-called “unique hues”: “pure” instances of red, yellow, blue, and particularly green. Variations in colour experience between members of different species appear to be even more pronounced. Humans are typically sensitive to light with a wavelength of between 400-700 nanometers, and have three types of photoreceptors in their eyes. Other species, however, are sensitive to light of different spectral wavelengths, and differ in the number of types of photoreceptor that they have in their eyes. For instance, pigeons and turtles are sensitive to light in both the ultra-violet and the infra-red regions of the electromagnetic spectrum; and whereas many mammals only have two types of photoreceptor, pigeons and goldfish have four types of photoreceptor, some butterflies have at least five types of photoreceptor, and mantis shrimp appear to have at least twelve. These differences are presumably associated with differences in the way that these creatures perceive colour. Differences in colour experience between perceivers and across conditions present a problem for the view that colours, like shapes, are “objective” properties of things in our environment. If colours are “objective” properties of things that exist independently of our experience of them, then which perceivers, in which conditions, get it right? To say that humans correctly perceive the colours of things may seem chauvinistic—and besides, which humans are we talking about here? Portrait of Galileo Galilei by Justus Sustermans. Public domain via Wikimedia Commons. The second problem that has led many philosophers and scientists to conclude that colours aren’t really as they appear concerns the relationship between colours and the physical properties of coloured objects. Since the scientific revolution of the seventeenth century, many have concluded that science “tells us” that physical objects are not really coloured, or at least not in the way we normally suppose. Writing in 1623, for example, Galileo claimed that colours are “no more than mere names so far as the object in which we place them is concerned … they reside only in consciousness. Hence if the living creature were removed, all these qualities would be wiped away and annihilated” (The Assayer). Modern scientific theories do not explain experiences of colour by appealing to the colours of objects, but instead in terms of objects’ dispositions to reflect, refract, or emit light across different parts of the electromagnetic spectrum. The conclusion that many have drawn is that we either need to identify colours with the physical properties of things that cause our colour experiences, or admit—like Galileo—that colours do not exist. But can this really be right? Focus on a colour in your immediate environment and ask yourself whether that could really be only a figment of your mind, or at best radically different from the way it appears. Moreover, colour is arguably only the thin end of the wedge. One of the reasons why colours are philosophically interesting is that they provide an illustration of general problems that arise in thinking about the “manifest image” of the world, or the world as it appears to us as conscious subjects. It is not just colours that are under threat. Similar problems arise for aesthetic properties like beauty, for moral properties like right and wrong—even for what philosophers have traditionally called “primary qualities” like shape and size. Could the world really be so radically different from the way that it appears? If we want to hold on to the familiar world of experience, then we need to look again at colour. Featured image credit: Altarpiece, No. 1, Group X, Altarpieces by Hilma af Klint. Public domain via Wikimedia Commons. Keith Allen is Senior Lecturer at the University of York. 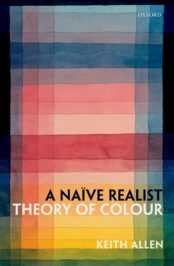 He is the author of A Naïve Realist Theory of Colour (Oxford University Press, 2016). //”The conclusion that many have drawn is that we either need to identify colours with the physical properties of things that cause our colour experiences, or admit—like Galileo—that colours do not exist. No, I don’t think so. I believe that colours exist out there in the world independent of us. In my humble opinion Galileo, modern scientists, modern philosophers, psychologists and most scientifically people believe incorrectly in this. Has a ballon the same colour for a human as for a dog or whatever? Certainly not. Colour is made in each being’s mind. Everything we perceive are freqs and vibrations and with the power of our senses we decode the mystery subjectively. Objectively a true colour may exist, but which is real? Colours either ARE the various frequencies of light or the PERCEPTION of them by living beings with light sensors (eyes) in much the same way that musical notes either are various frequencies of sound waves OR the perception of them. Is there a similar discussion about the reality of sound frequencies? Why is it the existence of colour in particular that we are so skeptical about, I wonder. 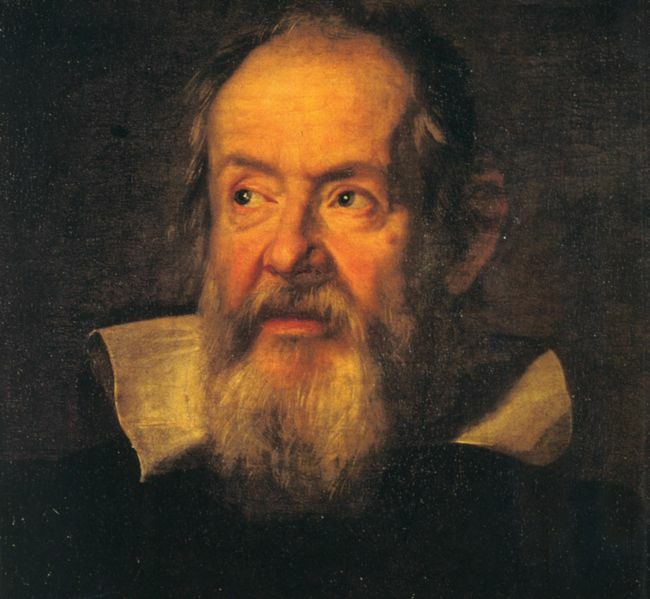 Galileo was kinda right. The colour of an object is in the eye of the beholder. It is an experience in the brain, no a real thing in the world. Maybe there are wavelengths out there, but not colours. Try this experiment. Take three-four objects of different colours (preferably prime colours: read, green, blue, but cyan, magenta, yellow will do too) and then take some coloured LED lights that can change colour. Look at the objects change their colour while the light changes. The same red coloured object will look white, if illuminated with red, black when illuminated with green and so on. So what colour does the object have? The same argumentation goes with the problem of sound. The qualia of sound is only in the brain. There are no sounds out there, only perturbations of the air molecules, wich are not the same thing as what we heat. The first person experience of sound is the process of interpreting the information of air waves by the brain. No brain, no sound, only waves of crowded atoms. Fun topic to think about philosophically. Electromagnetic waves are physically real & certain wavelengths reflected off objects are sensed by human eyes. The type of light source is a critical factor as well as the absorption/reflectivity of matter observed, as color is essentially founded in the physics of the spectrum. This fact intensifies that “Color” is definitely subject to observation/sensor bias. For example, read about how Claude Monet could see and paint ultraviolet after having the lens in his left eye surgically removed to remove cataracts. Bias aside, general consistency of human perception of “visible light” should be expected because the electromagnetic spectrum is linear and physical. The resolution of the optics/imager combination is another critical factor in output, so it is with human perception of hues which are tiny variations in wavelength. However, just as melanin-production is the result of genetic adaptation to geographically proportional UV intensity, there are hypothetically similar correlations to variable iris pigmentation and eye perception of wavelength. In other words, variation in hue perception should be expected in the general human population as an artifact of geographic proclivity to sunlight exposure and radiation intensity. I have wondered before if what one human saw as Red, another might see as Blue, but it follows that any such whole perception shifts would have to occur proportionally according to the primary color wheel, as the linearity and wholeness of electromagnetic spectrum must be resolved in any viewpoint. For this reason, color perceptions are as “real” as photons, even if observable biases in perception exist. These biases are akin to filters, amplifiers, or attenuators, and their manipulation and effect of the basic physical phenomenon are very substanital albeit existential.